The rush to meet consumers' needs is intensifying with many retailers entering into the same day delivery market. Fast Company recently reported that athletic apparel and footwear retailer Foot Locker has signed on with Deliv, a crowd sourced delivery company, to offer same day shoe delivery. Deliv already works with several retail providers such as Neiman Marcus, Crate and Barrel, and Banana Republic. The partnership means shoe aficionados and back to school shoppers will have a quick way to get their merchandise straight to their door. Foot Locker currently offers multiple shipping options for customers, including traditional shipping with delivery times of 5-6 business days, 2 day shipping, and 1 day shipping. The company plans to offer the same day delivery option first in five stores in the San Francisco Bay and Los Angeles areas, and eventually roll it out to the rest of their stores in North America at a later date. Shoppers can see if they're eligible for same day delivery by checking a list of available locations on Foot Locker's website. The delivery charge will be an additional $5.00 order. This low pricing will probably entice many shoppers to try out the service for themselves, especially as the retailer heads into holiday shopping preparations. Foot Locker's choice to sign up with Deliv echoes the sentiment of retailers across industries looking for ways to get products to consumers faster. It's no longer about just getting the product from fulfillment warehouse to store or consumer; now the pressure is on to deliver goods as fast as possible. Department store chain Macy's has been testing same day shipping lately, and Amazon has offered the service for several months in certain markets. Google offers Google Shopping, a same day delivery service featuring multiple retailers in the same locations as Foot Locker's delivery radius. Unlike Deliv, Google Shopping uses a subscription based model. 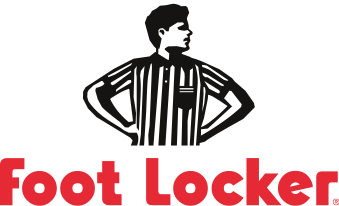 However, rather than team up with Google like Target and Walgreens, Foot Locker has opted for a more personal form of delivery. Deliv is a new way to offer shipping to customers anxious for their products to arrive by using individuals as drivers, much as Uber and Lyft operate. The service integrates into an existing e-commerce plan and customers can choose when they would like their products delivered by selecting a time window. From there, a driver receives a notification about the impending delivery. They confirm the number of packages expected, as well as the order number. Throughout the process, the consumer can track the delivery just as they would if using a major shipping provider such as UPS or USPS. Once delivery is made, the driver captures the consumer's digital signature as confirmation.